The hot topic of mosquitoes and the potential for spread of the dreaded Zika virus created quite a buzz at the May 12 chapter meeting of Potowmack chapter. 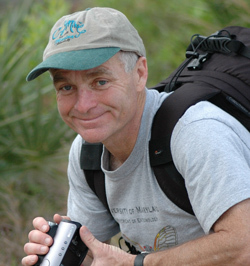 Michael Raupp, Ph.D., Professor of Entomology at the University of Maryland, was scheduled to speak on the topic “Bugs Make the World Go Round,” but the recent news about Zika co-opted the focus. Links to Raupp’s online information about Zika and preventative measures can be found at the end of this post. Professor Raupp noted that tiger mosquitos, our non-native, day-biting mosquito, don’t presently transmit Zika, but he cautioned that they are a vector for transmission in Africa and could potentially transmit it here one day. Raupp also cautioned that pesticide sprays, such as Permethrin, applied to target mosquitoes absolutely kill beneficial insects and pollinators. 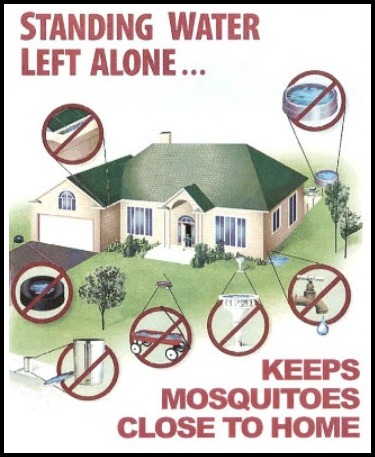 He reiterated the importance of personal protection by using repellants and mosquito-repellant clothing when exposed to mosquitoes, and making sure that yards contain NO STANDING WATER; the Aedes mosquito that transmits Zika prefers small reservoirs of quiet water for their breeding needs. Gutters, buckets, plastic toys, depressions that hold puddles – they only need three days and quarter inch of water. Your best protection is removing the source of new outbreaks. Water in backyard ponds or bird baths must be moved vigorously to prevent establishment of mosquito larvae. Raupp described efforts to control the Aedes aegypti mosquito using genetic techniques that insert a lethal gene as brilliant. As to mosquitos’ role in our local ecosystem, Prof. Raupp reminded the audience that male mosquitoes feed exclusively on plant nectar, serving as vectors for pollen transmission. After the crowd reluctantly allowed Prof. Raupp to move on from mosquitos, he wowed them with a few examples culled from the amazing diversity of our local insects. One example was his video of a dung beetle impressively shouldering a massive pile of horse dung into its hole on a bridle trail in Maryland. When asked about cicadas, Raupp could barely contain his enthusiasm. He glumly noted that the big local emergence will be east of interstate 81 this year. As for our next big local emergence, cicada-philes will need to wait until 2021. Buoyed by a plethora of enthusiastic questions from the audience, Raupp kindly ran past 9 pm. He concluded by complimenting the crowd on a commitment to native plants as a way to support insects. did anyone mention mosquito dunks which do not harm the environment, animals etc and last up to three months for standing water (ditches etc.) hard to remove? Yes, Ann, and those are also mentioned in the information provided at the end of the post. Thanks for your comment.